The traditional method of learning a new musical instrument is to take lessons from a local musician. The cost of each lesson is going to be dependent on a number of different factors. If a person has been doing the lessons for a long time, they might have a very strong reputation and can charge a pretty hefty price. Others who are just starting out might be a little bit more inexpensive. There are group lessons that are available to people out there, but it comes with some pros and cons for sure. While it is cheaper to take a group lesson, it is very difficult to get individual instruction in this type of setting. Sometimes, learning a musical instrument means that a person needs to be able to know exactly what they are doing right and what they are doing wrong. If they do not have this information, it will end up being a pretty big failure in the end. Learning how to play an instrument through an online instructor is really starting to gain popularity. The main reason comes down to cost, but it is also pretty cool to be able to take a lesson at any time during the day. Instead of having to leave the house and go to a studio of some sort, a person can just start the instructions right there. The cost for piano or trumpet lessons online can be pretty inexpensive, especially if they are doing the lessons from a different country. Saving money and still getting a chance to learn a new instrument can be very beneficial for people on a budget. There is a downfall to using an online instructor, and that mainly comes down to not having the ability to show exactly what someone is doing wrong. There is a trade off with every type of musical lesson out there, so finding the right fit is important in order to go forward. It is the only way to really get things set up properly for ultimate learning. Toddlers do not use the apps alone, but that doesn’t mean that they should be looked at as just digital babysitters. 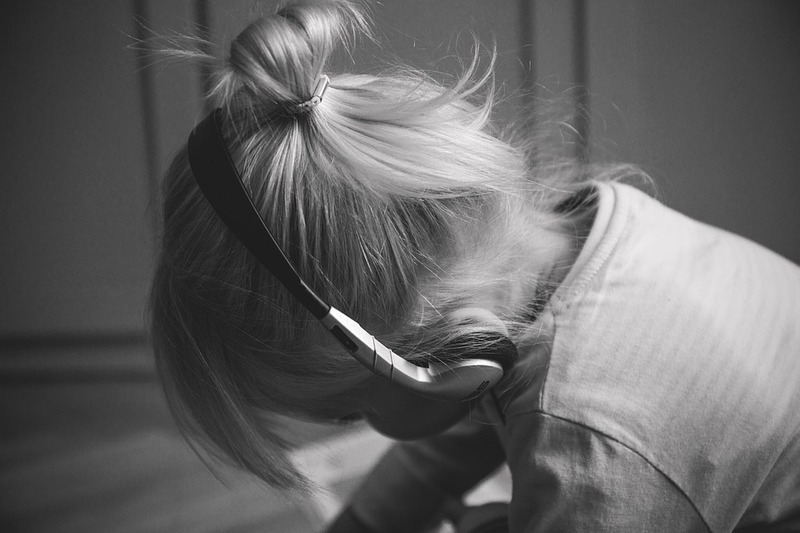 Developers for toddlers’ music apps have become increasingly aware of the fact that parents will often be sitting alongside their toddlers and being active part of the process. The developers have also become more focused on the idea of parental interfaces, where parents can log in and see what the toddlers have been doing, and how the apps improving their music education skills. Another encouraging trend that developers are expected to focus on in 2018 and beyond are toddlers’ music apps that educate parents as well, especially those that suggest non-digital activities to follow on the learning. For years, there is one thing that is potentially very powerful yet largely untapped when it comes to development of apps for kids: interacting with or creating music from scratch. This may not be available specifically for toddlers, but for kids between the age of 6 and 9, it can be a fun way of recording music. However, apps should not be taken as replacements for musical instruments, but there is a lot of fun that can be derived from them as new ways of exploring rhythm and melody. Yes, toddlers sing too. It may sound unrealistic, but the truth is, a moment you expose a toddler to music apps, they are going to begin singing too. Until recently, this was something that was ignored by many developers of apps for toddlers. In future, we are going to see music apps that are going to aim at putting music creation tools at the hands of the toddlers to create their own music: whether it is the songs that they imitate or just sounds that they can pick from their environments. Although apps are great for toddlers’ development, they shouldn’t replace other activities such as riding bikes, scribbling pictures, playing, and doing other things away from the screens. Hopefully, developers are going to realize this in future and include more awareness of the way music app for toddlers can be used as one of the many ways a toddler explores particular interest. Everyone has a music genre they love. There are those who love rock music, blues, hip hop, jazz or classic music. Depending on the guests you have invited, you should hire a band that can play the kind of music they would enjoy. For this reason, the first thing you need to do is create a list of bands that play the kind of music your guests will love. These bands should also operate in or around your city. 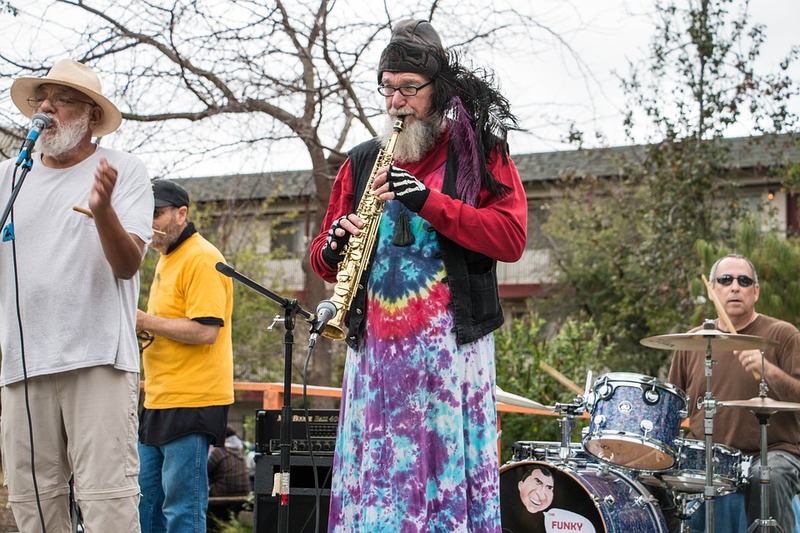 The best party bands are usually busy almost throughout the year. This means that they may not be available to perform at the party you are planning. For this reason, you need to check the availability of the shortlisted party bands and eliminate any band that will not be available to perform on that date. After all, it does not make sense to hire the best band in town if they will be engaged elsewhere when you need them. Therefore, the availability of the party band is an important factor to consider when comparing bands. The reputation of a party band needs to be checked. This is because you do not want to book a band that will be late for the event or a band that will get drunk and disturb or offend your guests in one way or another. You also do not want to hire a band that is likely to mess up on stage while playing your favorite music. Be sure to read a couple of reviews and search for testimonials from people who have hired a given party band in the past. This will help you create a clear picture of what to expect from all the shortlisted party bands. Obviously, you can only hire a band whose services you can afford. You will need to do a detailed comparison of the rates quoted by different bands to identify a band that will give you the best value for money. After all, one band may quote the lowest price, but they may be planning to play one or two songs only. On the other hand, a band may quote a higher rate, but they may be planning to play over a dozen songs that you love. The amount of experience a band has should also be checked during the price comparison. Buying new radio equipment can be expensive. You can save money if you buy used radio equipment for sale. This is an economical solution when you plan to buy lots of radio equipment. Some products in this range are quite expensive. You can buy same products at less cost if you buy second hand units. It is possible to find used radio equipment in good condition. There are many online stores that sell used and surplus radio products. They list such products under various categories. You can find high quality used radio and RF products. Accessories for the main products are also available. Most of these products are available in “ready to ship” condition. All such products are checked by professional technicians and refurbished if required before being put for sale. It ensures the buyers of used equipment receive a product that is in excellent working condition. Pre-owned products come from various sources. Some owners no longer need their radio products and want to sell those items. There are businesses that are closing down their operations. They may have purchased different types of radio products that they want to sell now. Some users want to move up to products with higher specification or better features. All these sellers are looking for quick sale so you are assured of receiving a good quote on the used radio parts and accessories. The websites offering used equipment for sale services offers a wide range of products in this range. You can easily find different types of radio receivers, transmitters, transceivers, antennas, switches, battery chargers, inductors and docks, among many other parts and accessories. The inventory of the store is updated daily so if you do not find the particular equipment you are searching, check again after a few days. Some websites give you the option of receiving email alerts on products that you are interested in buying. Provide your email address and you will receive notification when the product you need is listed for sale at the website. Searching specific radio equipment is not a difficult process, even though these websites list hundreds or even thousands of radio parts and accessories. Go through the particular category that relates closely to the type of product you are searching. It is easier to find the product you are searching if you know its model number or other specifications. Just type the model number or the specification detail in the search text box and click the search button. You will immediately see a list of all items that closely match your search criteria. You can search products by model name, brand name, and other specifications like radio range, size, features, functions and price. Make sure the product you buy matches your specifications. It should be compatible with your other radio equipment with which you plan to use it. 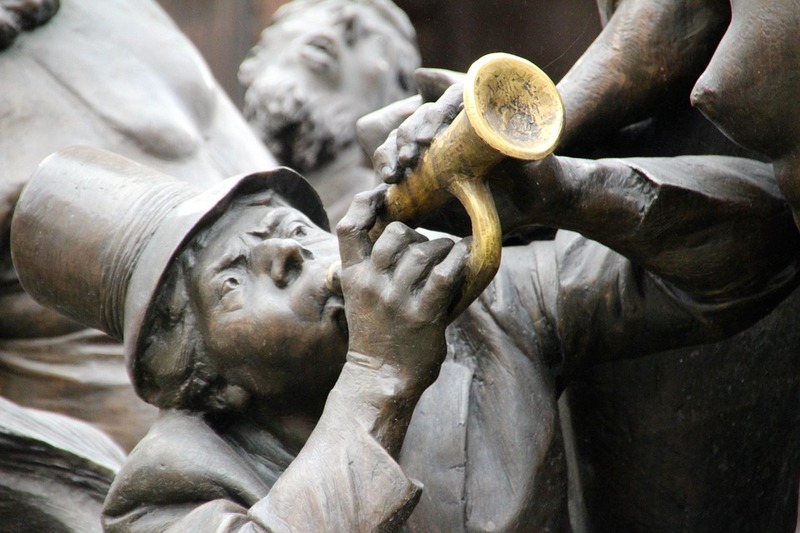 Whether you’re a music teacher or someone who wants to pick up the horn purely for recreational purposes and self-gratification, it is important to find and by the absolute best trumpet books for the relevant skill level. Unfortunately, there are currently lots of instructional materials being offered to both new and seasoned players. This can make it difficult to determine which options are right for specific needs and musical goals. Following are several key factors to review ahead of finalizing any purchase. Finding trumpet books with songs that players recognize is about far more than ensuring that they’ll have fun throughout the formative stages of the learning process. Playing a known and very basic tune can be infinitely easier than playing a complex piece of music that has never been heard before. This is especially true when playing the trumpet or any other horn like it. This instrument only has three keys. Apart from these, players will have to make very specific adjustments to their embouchure in order to create the required sounds. Determining whether or not a sound is being played correctly is often made possible through a personal familiarity with the song in question. Companion CDs are incredibly popular additions to beginner and intermediate trumpet books. Much like recognizable tunes, these resources make it easier for new players to determine whether or not they’re doing things correctly. Although most new musicians have the benefits of personal or in-class instruction, those who are truly committed to excelling in this area will also spend a lot of time practicing on their own. With a companion CD, these people can get the guidance they need for ensuring that their playing improves. These tools are also vital for avoiding repeated mistakes and the need to break bad habits further down the road. All of the best instructional books for trumpet players have a broad range of skill-building activities. This is true whether these books are meant for beginning, intermediate, or advanced-level players. Skill-building activities can include slurring and staccato exercises, chromatic scales, time signature changes, major and minor scales, and more. These are exercises that players can run through on a daily basis in order to expedite their progression to proficiency. Although a good trumpet book will be largely filled with music, it should also helpful advice that all players need, particularly at the beginning of instruction. For instance, these tips might be centered on reading music or interpreting compositions. There should also be tips on building a strong embouchure. This feature can be just as important as having quality, skill-building exercises when it comes to ensuring that new trumpet players are capable of making pleasing sounds. A commercial ceiling speaker is not a new product line or technology. People who have spent some time in airports or office buildings would have noticed ubiquitous grilles overhead. Generally, people tend to associate these speakers with no sonic response and intelligibility, viewing them only marginally better than a telephone. However, plenum-mount technology has been renewed and the speaker inside the grille now is a fairly different beast from what it was some years ago. Though low-fidelity, low-cost transducers feature in several budget installations, an increasing number of modern in-ceiling speaker options boast fidelity and features that can match several higher grade commercial stereo offerings. There is a noticeable difference between an in-ceiling and in-wall speaker as far as the audio experience is concerned. If you play both speakers alternatively, you would notice the difference within a few minutes. If you’re installing a speaker in your commercial space and would want the best audio experience, make sure the speaker placement is right. Proper positioning is vital to optimize audio performance, particularly with regard to surround sound speakers that are installed permanently in ceilings or walls. Fortunately, there’s not a lot of trial and error to indulge in to determine the best spot. There are certain guidelines and benchmarks that could simplify the process to a great extent. First, assess your requirements and accurately ascertain the speakers your system could support best. The installation process for commercial and home speakers aren’t the same. 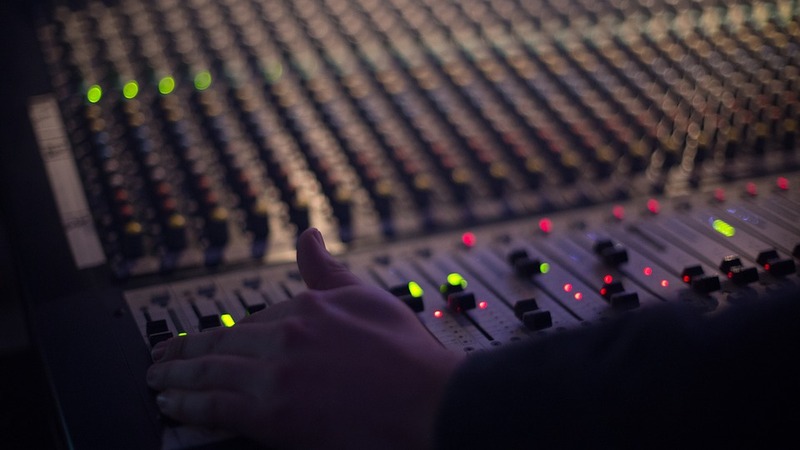 For most commercial audio applications, there are different things to consider. The reason the audio is barely audible or muddy within the majority of business areas is they have put up inexpensive speakers to bring down expenses. Good sound is almost impossible without flush-mounted, higher-quality in-ceiling speakers. You could add additional woofers for louder sound and better bass. But just using bigger speaker enclosures would work fine in most areas. The kind of speakers and locations must be chosen depending on whether you’d like the sound to be spread uniformly in a big area. In such a case, the same kind of speaker must be placed in the space with equal distance between any two speakers. Commercial ceiling speakers are available for varied applications, usually sold as complete packages. There are heavy-duty and light offerings, and networked speakers that come with features such as ultra-wide dispersion, increased low-frequency response, low-distortion woofer, etc. The hardware variances are not just restricted to the technology but also the build and design. Generally, inexpensive speakers are made of plastic or similar material. Expensive speakers have a metal chassis and they are more durable. 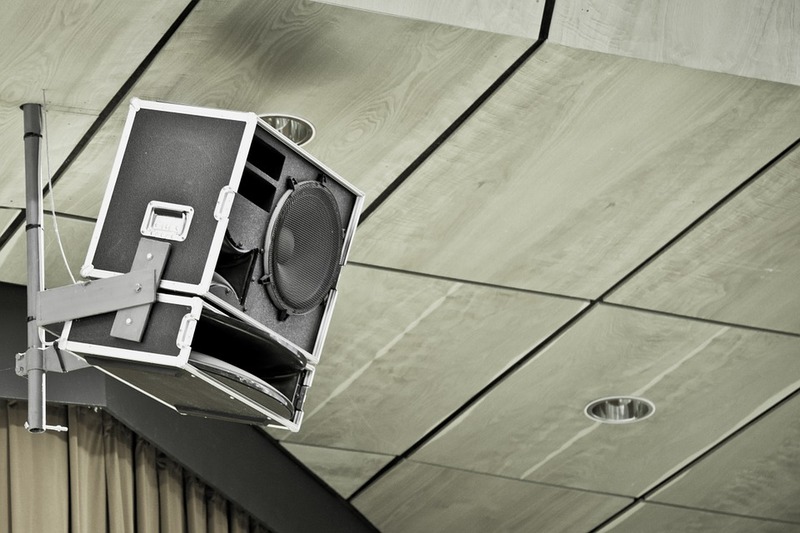 Keep these things in mind when shopping for a commercial speaker. Cleaning your trumpet is a very critical aspect of its routine maintenance. For your instrument to last long and sound its best, it’s important that you clean it regularly. Without much ado, therefore, the following are a few tips to help you clean and maintain your trumpet. 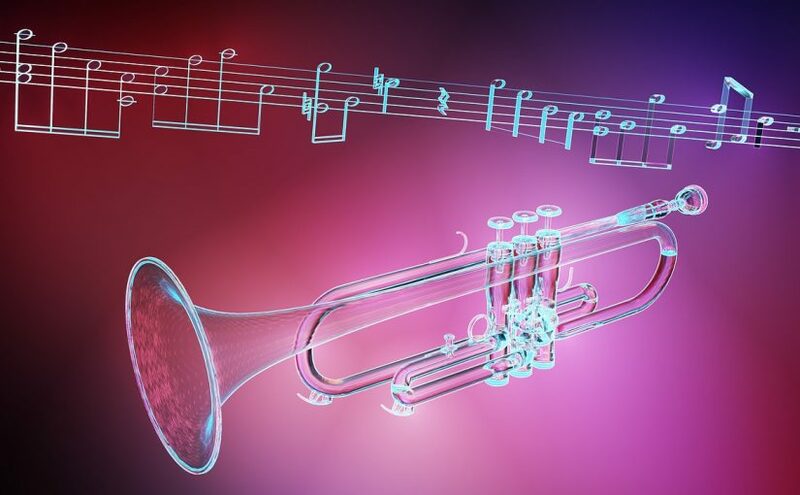 Generally, new trumpets have approximately one month break-in periods during which their valves should be oiled more frequently—every day during the first one month. To accomplish this, apply a few drops of quality valve oil on the valve’s silver section. A full oil change is also recommended once a week. To do this, remove the valves and wipe them using a lint-free cloth; apply 2-3 drops of the valve oil on the valve’s silver section, and inset the valve into its casing. Tighten the retaining cap slowly—avoid using too much force. For the best results, work on one valve at a time. After the first month, you can oil the valves 2-3 times a week. However, if you play frequently or several hours in a day, it’s recommended to oil the valves on a daily basis. Again, remember to give the valves an oil change after every couple of months. Grease or lubricate the main tuning slide once a month. However, don’t apply excess lubricant—you should aim at making the slides move smoothly and not too freely. You need to use a lighter lubricant on the third-valve slide because it doesn’t need to move slowly. It’s very important to pay a lot of attention when removing the slides. In case they are stuck, use plies or relevant tools to remove them and don’t try to force them out. It doesn’t take a lot of effort to pull the tubing apart, especially in sections that you didn’t intent to (such as solder joint) and ruin your day. In case you cannot pull the slide slowly with little effort, don’t fret—just finish cleaning your device and take it to an expert or a repair specialist to help pull the slides. It also pays to watch out for small parts—stopper nuts, bottom valve caps, screws, and clip-on pencil holders etc —that can easily be misplaced while dismantling the trumpet, and keep them in a safe place. For silver plated instruments, cleaning the tarnished sections require a special treated polishing cloth that’s specifically made for that purpose. Proper cleaning and maintenance of your trumpet is vital in keeping its sound in top shape and goes a long way in protecting your investment. 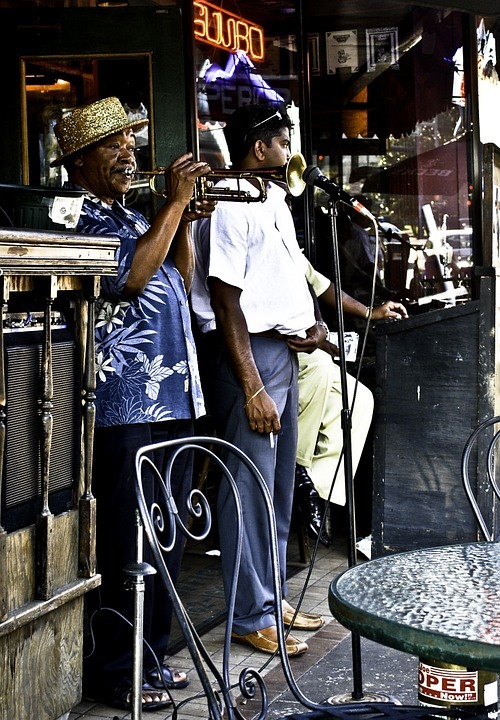 Following the few highlighted tips will allow you to keep your trumpet working optimally. Different factors have to be considered before choosing a specific trumpet lesson. Cost is invariably the main concern for most people. Finding a teacher who offers trumpet lessons for people with different skill levels is not easy. Generally, some teachers prefer working with beginners or with advanced trumpet players. There isn’t a one-size-fits-all kind of an approach here. Therefore, if you’re keen on taking up trumpet learning classes, find a teacher who specializes in serving your demographic. As aforementioned, an individual’s skill level determines the level of learning. Trumpet lessons are available for people with zero prior instrument experience and various other skill levels. In case of advanced lesson requirements, locating an able instructor may not be easy. Moreover, the costs would be high as well. Besides program costs and teaching skills, the mode of instruction is also important so that you know if you’ll fit the bill. The sessions could be one-on-one or take a classroom approach. And there are premium online instructional videos and books as well. You may not be comfortable with all. So know beforehand what you’re getting into. If you’ve taken the offline route, the location of the classes can be a big factor too. There are people who’d like to have a dedicated learning environment outside their house. And there are others who prefer at-home learning. Take your pick when skimming through the options. Individuals living in a rural setup may have a tough time finding advanced trumpet lesson instructors within their vicinity. Also consider the total time you can possibly allot in a day to the learning. Some individuals may be busy the whole week and have time only on weekends. Students or retired individuals may not have such time constraints. If you’re from the busy lot, find out instructors who work on weekends. Trumpets aren’t as simple as they look or sound. There are multiple ways to play the trumpet, thereby necessitating different kinds of instruction discourse. For instance, lessons for individuals who aspire to do a concert would be different compared to someone who’s keen on joining a jazz band. If you have such specific requirements, let your instructor know about the same so that there’s a match of choices. In case you are looking for trumpet lessons for your child, look out for institutes that only cater to young learners. If you do not find a center serving a specific demographic, ask a regular center if they’d be keen on taking a kid on-board. Offering training lessons to kids is different compared to adults. To accommodate a kid, the instructor must be able to explain the fundamentals in the simplest and easy-to-understand manner. Moreover, one also needs to have the right temperament for putting up with a kid’s attitude and shenanigans. Therefore, do your research well since there are trainers who let children into their classes but tend to ignore them or not give necessary attention during sessions.